If someone made a movie about the story of Carmenere, I would watch it. 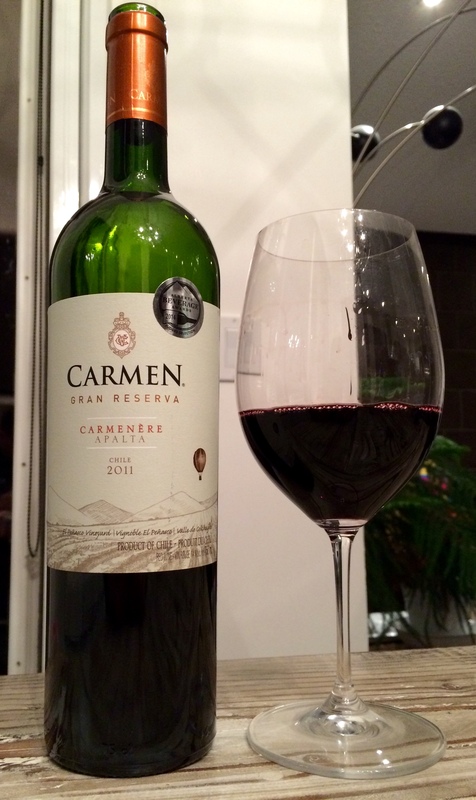 The story of Carmenere is one of my favourite stories in all of wine. It starts, as many wine stories do, in France, where centuries ago Carmenere was one of the six varietals used to make red Bordeaux, along with Cabernets Sauvignon and Franc, Merlot, Petit Verdot and Malbec. As French explorers set out to claim and colonize new territories outside of Europe, they often brought plantings of their national vines with them, introducing these grapes to foreign soils. It turns out they were lucky they did, because when the phylloxera louse decimated the vineyards of Europe in the mid-19th century, it wiped out Carmenere in Bordeaux completely — today, there are only five red Bordeaux varietals. Everyone thought that Carmenere had been tragically lost forever…and then it randomly showed up in Chile over a hundred years later. On November 24th, 1994, the French ampelographer (actual meaning: one who identifies and classifies grapevines) Jean Michel Boursiquot was paying a visit to the Carmen vineyards in Chile when he noticed that the Merlot growing there wasn’t actually Merlot at all, but Carmenere. The lost grape of Bordeaux had been growing in the Southern Hemisphere for more than century, but due to its vines’ and grapes’ uncanny resemblance to those of its Bordeaux cousin Merlot, everyone assumed it was the latter, particularly given the general understanding that Carmenere no longer existed. This led to some extensive (and confusing) cross-planting of vineyards that proved extremely difficult to unwind. Boursiquot’s epic discovery was a boon to world viticulture, and it gave Chile what it needed most at the end of the 20th century: a wine identity, forged in what is now proudly recognized as the country’s national grape. It was also a big help to the resulting wines: Carmenere ripens weeks later than Merlot, and if picked early (due to mistaken identity) it can exhibit strong, and generally unpleasant, green pepper flavours. Now that Carmenere has been rediscovered a hemisphere, a continent and a century away, and now that Chile has become the world’s main producer and exporter of the variety, the folks at Carmen are determined to cement its new legacy. 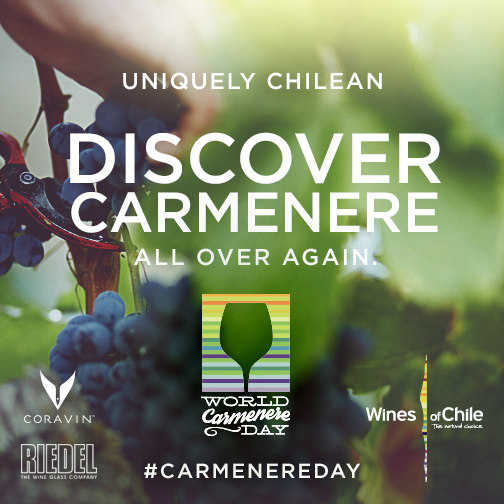 They have declared November 24th to be World Carmenere Day and will shortly be celebrating, along with the rest of the nation, the 20th anniversary of Carmenere’s discovery on their home soil. Sucker as I am for the tale of this grape, I was all too happy to open this bottle of Gran Reserva Carmen-ere to celebrate with them. The term “Gran Reserva” in this instance does not particularly signify anything. In Old World countries like Spain and Portugal, the term has a legally defined meaning that mandates that the subject wine spend major time aging in barrel and bottle (at least 5 years total) before release, but elsewhere there are no such strictures — the Carmen only spent 10 months in barrel and 2 months in bottle before hitting the market. Interestingly, the Carmenere Day Carmenere is actually only 94% Carmenere, rounded out by 4% Carignan (cool) and 2% Tempranillo (in Chile? double cool). The Carmen comes from a single vineyard, the El Penasco Vineyard located in the highest part of the Apalta subregion in central Chile. This wine is a classic example of Carmenere in all its quirky glory. A deep, opaque purple in the glass, the Carmen’s nose was part juicy, part resinous, brambly blackberry and currant with a twist of citric, tangy sourness on the end, rounded out by black licorice, cedar, chocolate and Christmas fruitcake. Carmenere-based wines have an unobtrusive structure, with soft and subtle tannins and fairly mild acid, making balance a trickier than normal act to achieve, but this one did it with style, coming across as concentrated, plush and soft but not heavy or flabby. It showed a bit of heat from fairly normal (14.3%) levels of alcohol at room temperature, but not after the wine had a slight chill; in fact, everything about the bottle came together a bit better after 20 minutes in the refrigerator. The palate was an armada of interwoven flavours, starting with menthol and intense black fruit, moving into the slight herbal/capsicum note for which this varietal is known and then exploding into savoury/umami madness: linament, soy sauce, tobacco, tree sap, black olives. As someone who appreciates more than just a fruit bowl in his glass, it was good times. 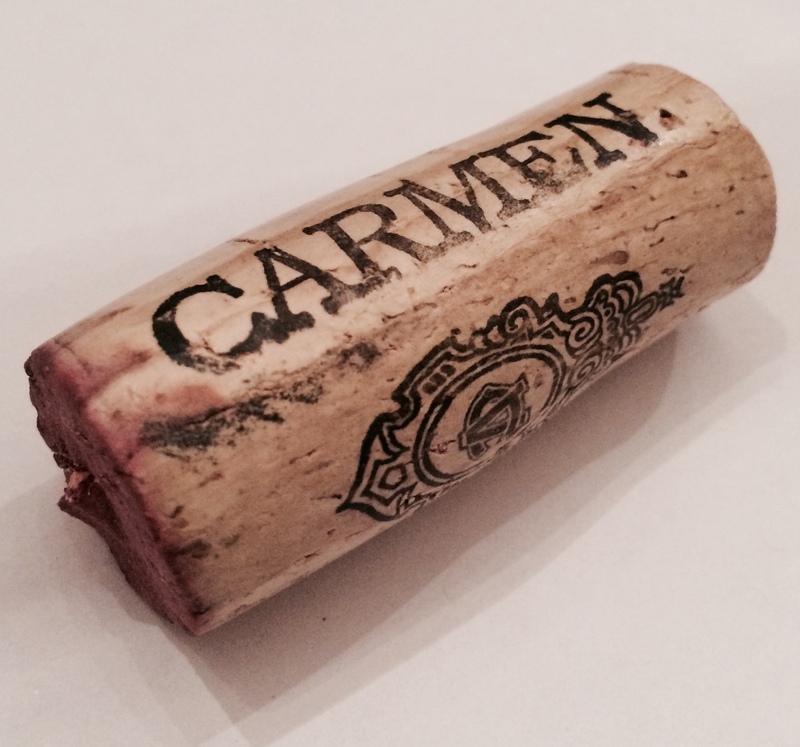 Carmenere is a fantastic escape grape, one that breaks you out of your everyday drinking mould. It always stands out to me for its utterly luxurious silky-smooth mouthfeel and its cacophony of fruity/smoky/savoury/herbal flavours. It never lacks for interest and intrigue, and this bottle is no exception. Especially for the price, it is a highly worthwhile adventure. Happy Carmenere Day, all!